If you’re going to drop in on a country renowned for its greenery, its rugged peaks, stone-walled farms, soaring cliffs and gentle rural villages, why not get close to it all? Glamping is a perfect compromise: luxurious but still outdoors and largely in relatively isolated rural settings. It allows you to get close to nature and still get a good night’s sleep; it also lets you spend your day walking far from the towns, but still get to charge your mobile phone at the end of it all. The Irish, unsurprisingly given how well it sits here, have glamping pegged. Here are our favourite spots to combine canvas and modest opulence in the Emerald Isle. Kerry should already be on your list of spots to visit if you have more than a week or two in Ireland, and this simple but lovely destination a couple of miles outside of the town is a great base. Killarney Glamping is very much a family affair, a small site with beautifully presented and pleasantly heated tents tucked on top of wooden frames to ensure they can withstand the Kerry weather. Horses live in the nearby field, while you get your own kitchen area and some lovely spa options. Located in a county that’s a byword for ‘rural nowhere’ in Ireland, Teapot Lane is the ultimate gorgeous escape, taking a pretty field and turning it into an almost magical, quirky corner filled with yurts and caravans. 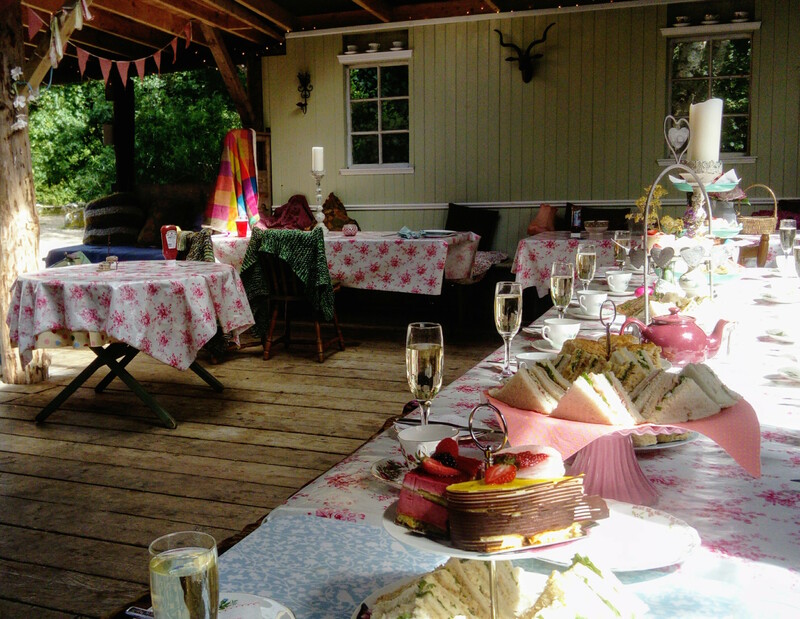 There’s an entire garden laid out for fairies, but aside from the magic (which has made this spot a popular wedding location), there’s also luxury: massages on-site in the Teapot Lane ‘spa’, tea party and picnic packages on offer and breakfast eggs fresh from the on-site hen house. For the adventurous, there’s surfing down the road too. Another lovely Leitrim spot, Pink Apple’s rugged, comfortable yurts come within a campsite that has a real sense of magic. The most popular activity (pre-book!) is the pizza – make and bake your own in a wood-fired oven; the homemade organic cider comes highly recommended as well. There’s a sense of community around the shared evening fires and kid-leaning setup; it’s also a spot for adventure, be it on the local lakes and rivers with a kayak or one of the foraging walks. Look out for the hobbit house too. 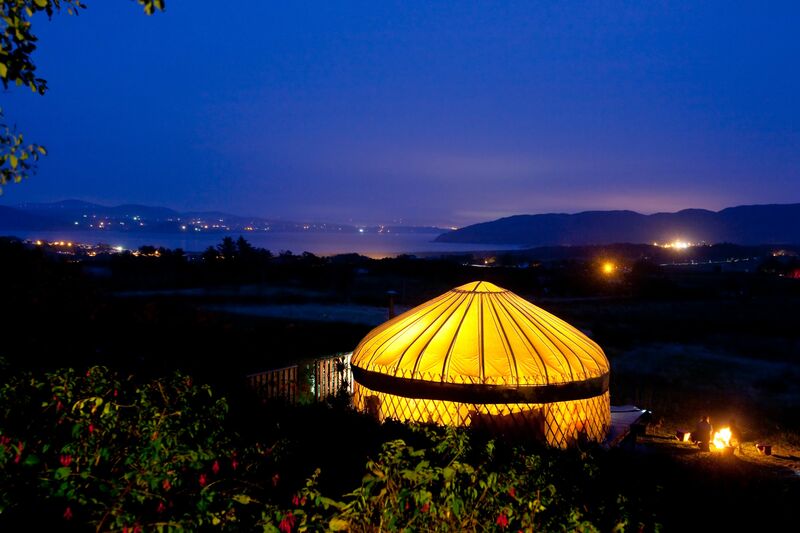 Located way up in the rural north of Ireland, with yurts overlooking the Atlantic, Portsalon’s collection of just five isolated yurts is a real ‘perfect peace and quiet’ offering. The yurts come kitted out almost like a hotel room, with carpets and king-sized beds, wood burning stoves and views straight from the front door. There are three miles (4.8 miles) of an award-winning beach a short stroll away, and an outside chance of seeing the Northern Lights. In a word: romantic. Wicklow is an essential stop-off for any hill-loving visitor, with the ‘Garden County’ home to the Wicklow Way and St Kevin’s Pilgrimage walks, and easily accessible from nearby Dublin. Old Forge is a great base, a tiny corner consisting of a log cabin and four yurts tucked into the Wicklow hillside. There’s an outdoor bar, personal cooking areas, a fire pit and lots of those rugged, crumbling walls that are so beloved in rural Ireland. You can also ogle the highest in the East of Ireland, Lugnaquilla, from your tent door. Slane is best known for its huge once-annual rock concerts (Guns N’ Roses starred in 2017), but it has plenty more to offer, with the Hill of Tara and Newgrange both nearby. As the only site amid the best part of Ireland’s Ancient East to make our list, Rock Farm is the ideal base. This languid eco-tourism spot is tucked in amongst the trees overlooking Slane Castle, and as well as high-end glamping facilities, it is home to fantastic yurts and shepherd’s huts. Electric bikes, kayaking, hiking and tree climbing (yes, it’s a thing!) are all on offer locally. Irish festival goers know this particular spot for its location down the road from the country’s biggest musical offering, Electric Picnic. Unless you’re heading to Stradbally’s finest, try to avoid the first weekend of September, then. The rest of the year, however, this family-run rural corner has a kind of thrown-together rugged feel to it, but it also manages to provide luxury bathrooms, firepit, and pleasant dining corners. 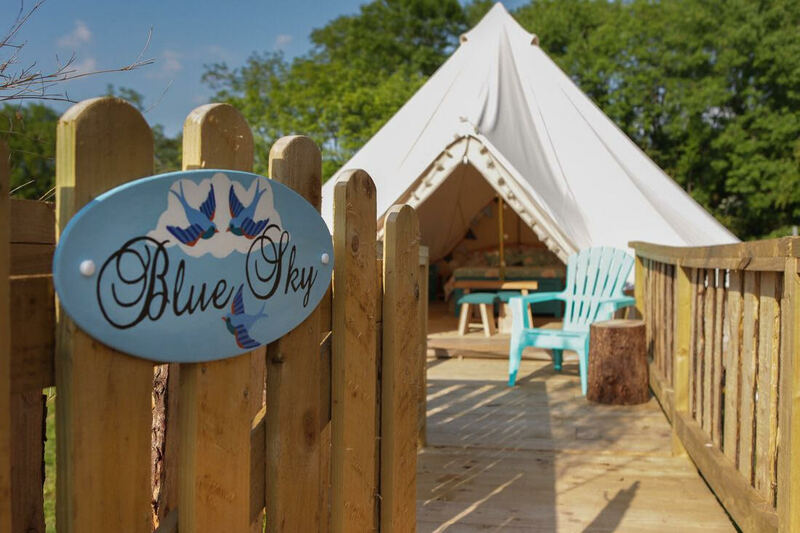 Horse riding is the big thing nearby, while Glamping Under the Stars’ kid-friendly tents have plenty of cushions and mini-beds for the little ones.